To reduce medical malpractice, the Institute of Medicine called for the measurement and reporting of physicians quality in its reports To Err is Human: Building a Safer Health System (1999) and Crossing the Quality Chasm: A New Health System for the 21st Century (2001). More than 10 years later, it remains very difficult for patients in most states to find quality information on physicians. 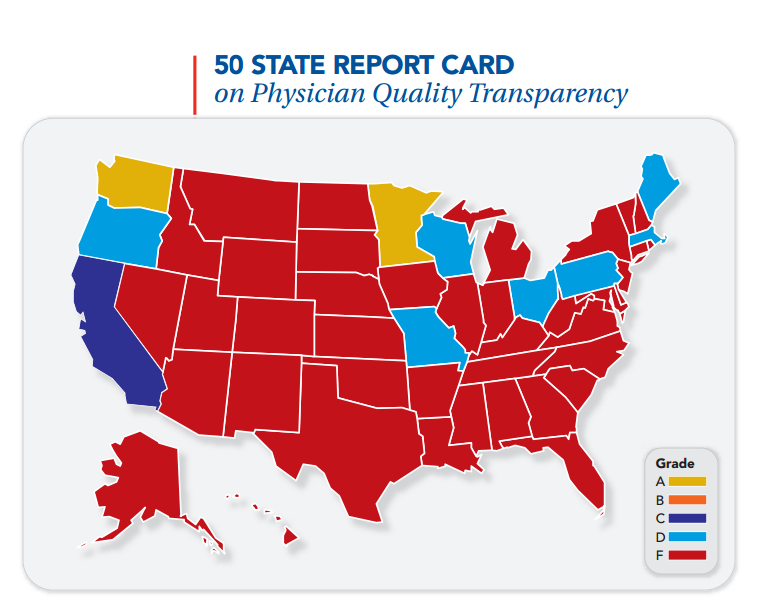 A recent Sate Report Card on Transparency of Physicians Quality Information, authored by Francois de Brantes, MS, MBA, Elizabeth Bailey, MPH, Jessica DiLorenzo, MA and Michael Moses, MS from the Health Care Incentives Improvement Institute in Newtown, Conn shows that only Minnesota and Washington State have a high level of transparency on physicians. California is somewhat transparent but for all other states patients have little access to information on the quality of their physicians.